Commercial pedestrian streets are the landmarks of their respective cities, reflecting their quick development and endless vitality and favored by young people for their numerous shops and hang-outs. Some of them are famous for exotic architecture. Some are known for gorgeous ladies and leisurely cafes and restauants. Others stand out for unique local characteristics. Known as the "Eastern Moscow," northeast China's Harbin has always been regarded as a unique and exotic city. 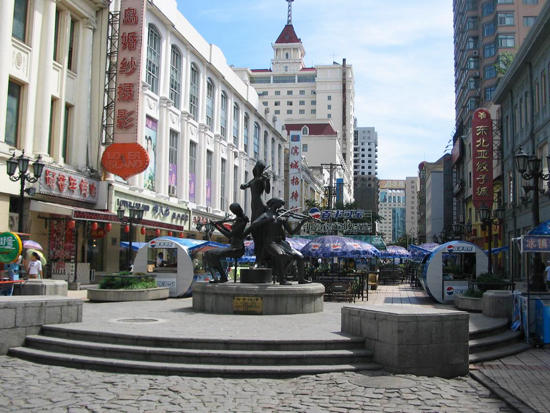 Central Street in downtown Harbin is the ultimate symbol of the city. 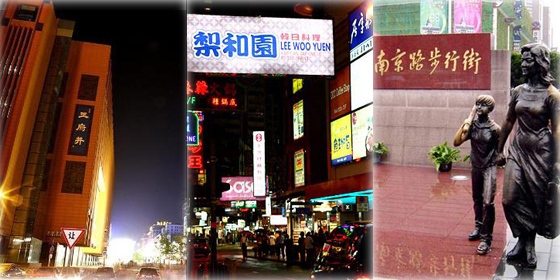 With a total length of 1,450 meters, it is one of the longest pedestrian streets in Asia. The European architecture is the most obvious feature of this long corridor. It homes numerous foreign shops, hotels, and bars. Russian leather, British woolen cloth, French perfume, German medicine and many more exotic commodities can be found here. The following streets are the landmarks of their respective cities, reflecting their quick development and endless vitality.